When people ask me what I think of Pune, I can honestly say that it’s a lovely city and that it is very easy to live in. Especially after a summer in Dhaka, I am very comfortable here. 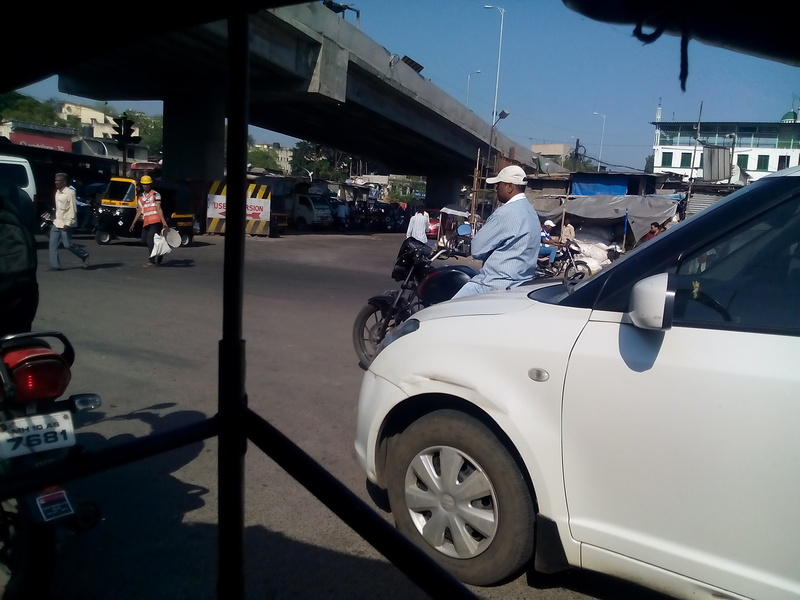 The only thing that Pune truly lacks is a decent public transportation system. There are buses, but thus far no one seems to know the routes and there is no real timetable. It’s supposedly a very unreliable method of transport. So I am left with one option: rickshaws. 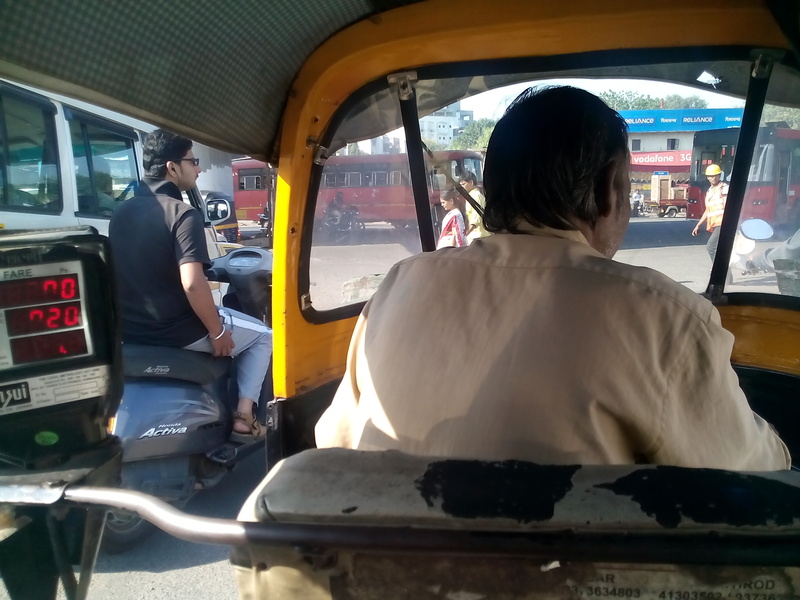 Riding rickshaws everyday is… an experience. City sights buzz by. You can hear the sounds of Pune waking up in the morning and spiral into rush hour madness in the evening. The strangled quack of a rickshaw horn never fails to make me grin. Occasionally I’ll get a nice driver; once I was treated to a Marathi lesson. These are the things that I focus on when the less than favorable aspects of using rickshaws start to grate on me. It’s hidden, but the small buildings (on the right hand side of the photo) are the houses of a community where some Akanksha students live. For one, using the rickshaws as I do is a rather costly endeavor. And to be frank, it’s probably the most physically uncomfortable method of traveling. Bouncing up and down on barely cushioned seats bruises my thighs and bum. One ride was particularly notable in its two near misses with other vehicles – within 5 minutes. I won’t even get into the hassle of getting the drivers to go by meter and go a normal route. Still, my rickshaw rides are part of my Indian existence, and it’s a distinct feature of my life here. As such, I thought I’d share a few moments of my morning commute. In the videos you can see the Pune-Mumbai highway, the rivers that wind through the city, the tall skyscrapers and the lowly tin-roofed slums. It is a mere introduction to Pune and the video quality is low (it was taken on my Bangladeshi-turned-Indian phone), but it’s an introduction nonetheless.